Since its inception, HWPL endeavors to advocate leadership that begins with the people. With that vision centering our work, HWPL has sent peace delegations to over 72 countries and counting. Through these delegations, HWPL strives to represent community interests by meeting with various political leaders, religious figures, and persons of influence to make the work of peacebuilding a domestic and international priority. These bridges are solidified by the Agreement of Solidarity, a statement of intent to cooperate in the pursuit of peace. HWPL’s peace maker, Man Hee Lee sent to conflict zones have acted as key mediators to re-build relationships eroded by years of conflict. 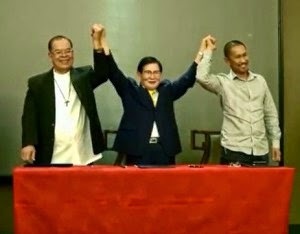 The monumental Mindanao Islam-Catholic peace agreement in 2014 set a precedent that leaders and youth can create sustainable peace together. I always cheer and support peace efforts for world peace, and we, HWPL members all want peace.